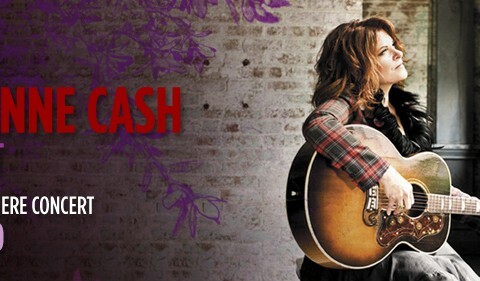 St. Ann’s Warehouse presents the World Premiere concert of ROSANNE CASH The List, the first album culled from a list of “100 Essential Country Songs” that Johnny Cash created for his daughter when she was 18. Alarmed that Rosanne lacked a deep understanding of country music, Johnny gave her the list and insisted she learn them all. Filtered through her own unique, sophisticated perspective, Rosanne covers songs from The List with her own stylish interpretations, paving their way to a permanent place in the American Songbook. Produced and arranged by Grammy-Award winner John Leventhal, The List includes masterpieces by The Carter Family, Patsy Cline, Merle Haggard, Hank Williams, Hank Snow, Bob Dylan and more.